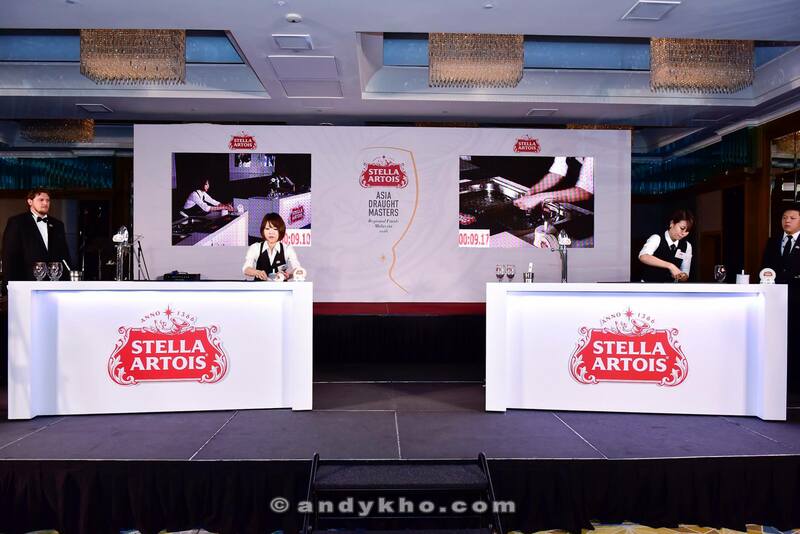 MHB’s Andy Kho and I together with our friends Denise, Rachel and Karina, headed over to Mandarin Oriental Kuala Lumpur on 7 June 2016 for the Stella Artois® Asia Draught Masters 2016 Regional Final. 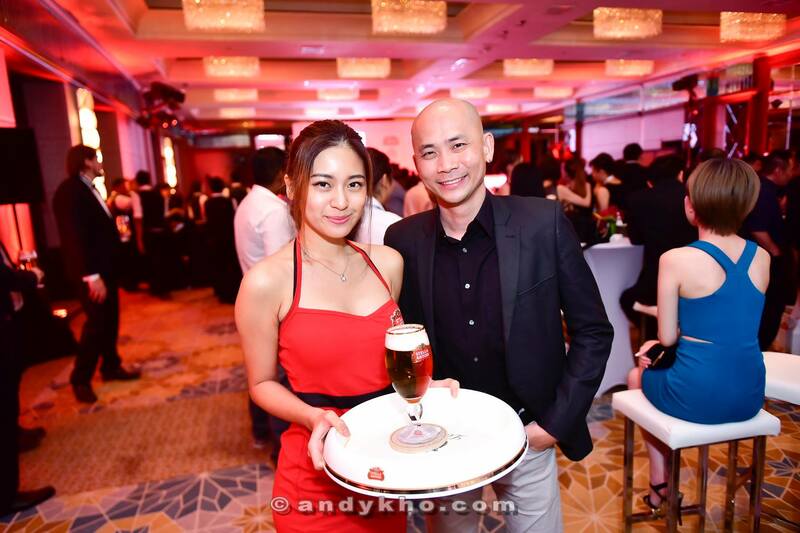 The event is held to bring the Belgian beer experience to a higher level, and in Malaysia is organised by Anheuser-Busch InBev International (AB InBev) and Luen Heng F&B Sdn. Bhd. 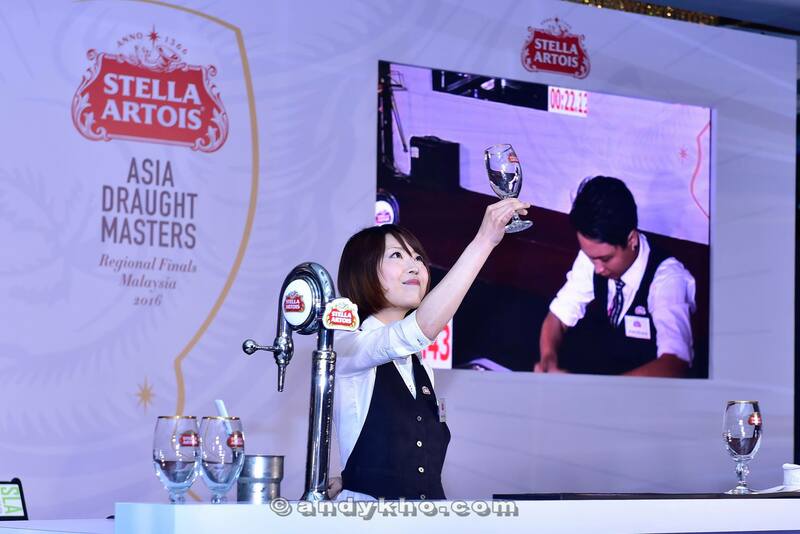 (LHFB), sole importer and distributor of Stella Artois® in Malaysia, showcasing the decades-old annual event that honours the mastery of beer connoisseurs in the Stella Artois 9-Step Pouring Ritual. 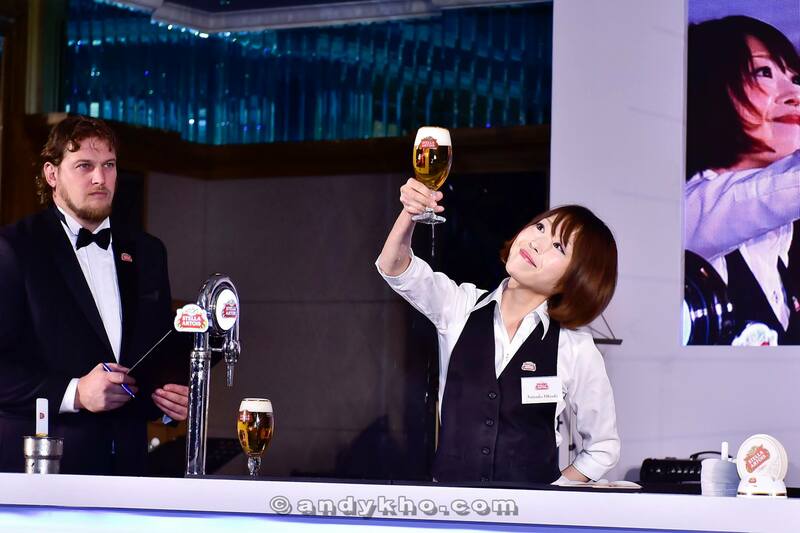 The event featured some of the region’s most skilled and charming bartenders from Japan, Philippines, Singapore, Thailand and of course Malaysia who performed the Stella Artois 9-Step Pouring Ritual in front of a panel of judges. Each country will send their top 3 finalists that won the National Draught Master Championships in their own country, and these 3 top finalists will compete in heated head-to-head duels against each other. Apart from being appointed the “steadiest pouring hand” of their own country, there will also be a “Best Performing Team/Country” where all five (5) countries will challenge among each other. The best team with the highest scoring will be crowned as the Champion Country for this Regional Finals. This annual competition was inspired by more than 630 years of long heritage brewing tradition, and encourages bartenders to embrace upcoming trends in the art of delivering a superior beer experience to consumers while celebrating the sophisticated elegance in pouring skill with Stella Artois’s unique Chalice glass. This annual competition also epitomizes the brand’s dedication to delivering superior beer the world over and showcases the unique Belgian experience that fans of the brand have enjoyed for more than six centuries. Any guesses as to which team I was supporting? “Belgian beers are traditionally served in unique glasses developed to accentuate each of the beer’s unique flavor profile. For Stella Artois®, that glass is the Chalice. 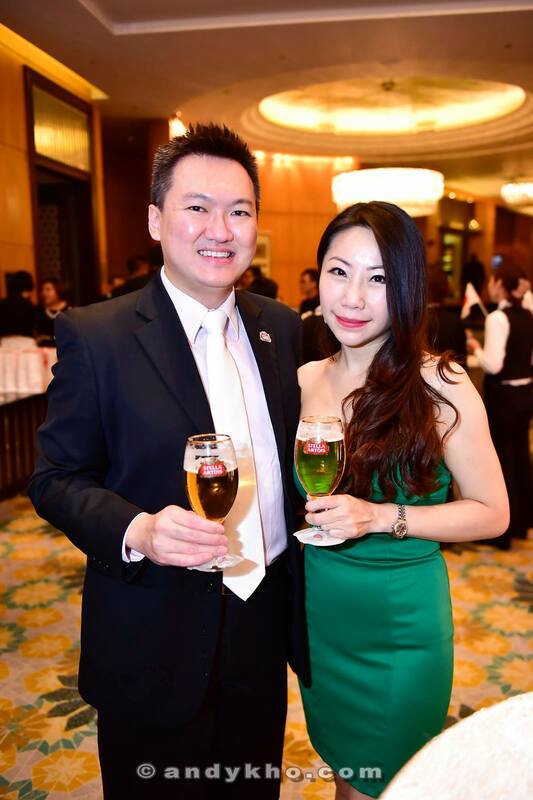 The 9-Step pouring ritual makes the best use of the Chalice’s shape, stem and signature rim, and offers the best possible Stella Artois experience,” said Kenneth Soh, Managing Director of Luen Heng F&B Sdn. Bhd. 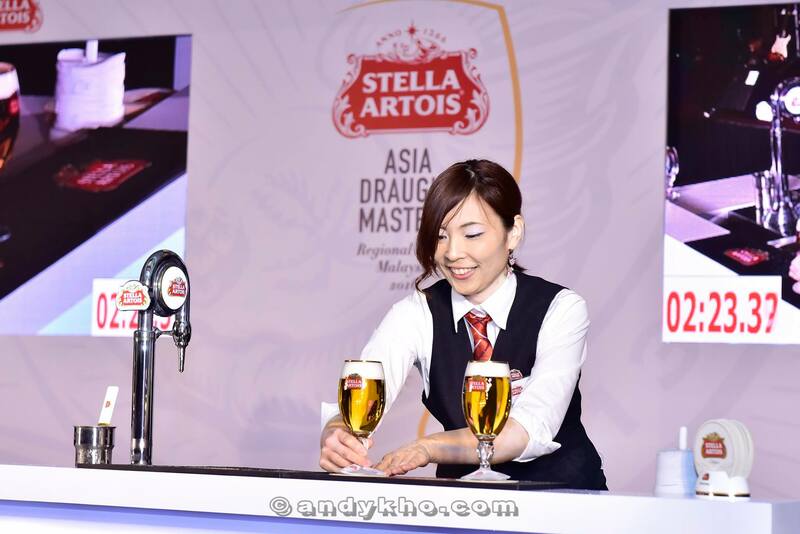 In 2013, Malaysia was awarded the “Best Performing Country Award” in the Stella Artois® World Draught Masters Regional Final held in Thailand. Luen Heng F&B Sdn. Bhd. partnered with their trade partners in training their bartenders as Stella Artois® connoisseurs so to compete against their peers from around the region. 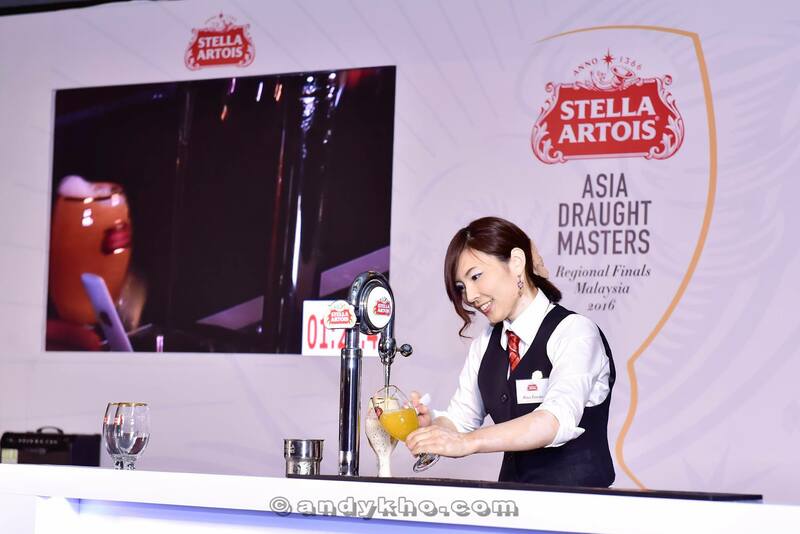 Three (3) finalists from the Stella Artois ® Asia Draught Master 2016 Malaysia Final (listed below) represented Malaysia at the inaugural Asia Draught Masters Regional Final. The event will determine the Malaysian grand winner who will attend the finals which will be held in London in July 2016. 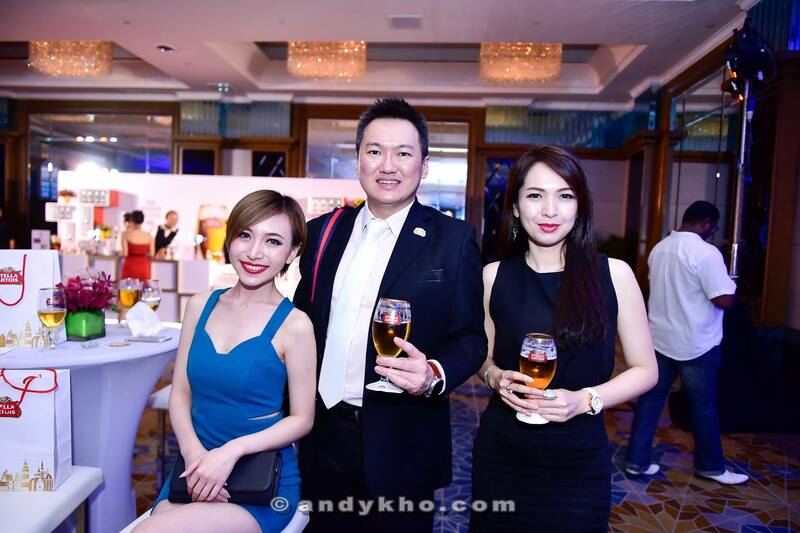 With pretty Stella Artois girls Yiwen and Yuki. 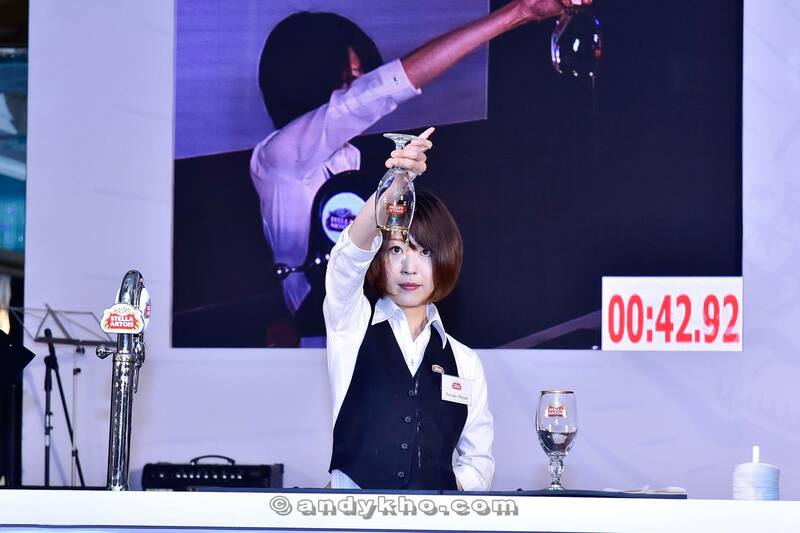 The 9-Step pouring ritual at the heart of the World Draught Master competition is rhythmic and complex. The Stella Artois® perfect pour is fundamental not only to ensure the highest beer taste but also adding theatre to the consumer experience. Each of the 9-Step pouring ritual in the signature Chalice serves a specific purpose and optimizes serving consistency, drinking enjoyment while delivering romance to the beer itself. The Chalice must be cleaned and rinsed. The tap is opened in a single swift motion and the first drops of beer are poured. The Chalice must be held at a 45° angle, just under the tap. Lowering the Chalice permits the natural formation of the foam head. The tap is closed quickly and the Chalice removed. No drips permitted. While the head foams up and threatens to overflow, a head cutter is deployed to smooth it gently. The bottom and sides of the Chalice are to be cleaned. The perfect amount of foam equals two fingers. The beer should be presented on a clean coaster, with the logo facing outward.